By now, you have probably heard that UK voters chose 51.9% to 48.1% to leave the European Union (EU). Just about all the articles are talking about the political and economic issues. I prefer to talk about the one that is often overlooked in political situations - marketing. Right off the bat, the fact that most are shocked is an example of a compromised marketing information system. In fact, so many that voted to Leave now regret their vote. 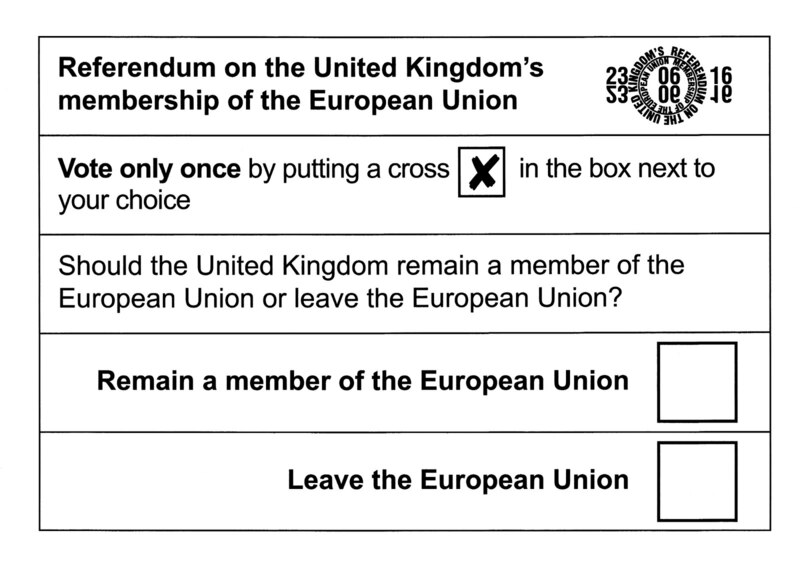 They have admitted that they did not think their vote would count, and they have said if they had it to do all over again they would have voted to Remain. Not knowing that the Leave vote would win is only one of the marketing failures to blame for the outcome. Those in the know say the referendum on staying or leaving the EU was called by Prime Minister David Cameron to restrain opponents in his own Conservative Party. It was a risky move - especially since his brand image has been on the decline for many reasons including (1) Panama Papers revelations linking his family to an off-shore tax shelter and (2) his use of £9 million in public funds for a pro-Remain pamphlet delivered to every household. In April, many Brits objected to President Obama advising them to stay in the EU. This seemed to strengthen the hand of the pro-Leave forces. They used it to criticize Obama for meddling in what they viewed as a British matter - stirring up resentment that the leader of a former British colony would tell them how to vote. In analyzing the vote, the Financial Times found that of the 100 key social characteristics associated with the Remain vote the two that correlated most strongly were education level (college degree) and occupation (professionals). The Remain advocates used more economic and rational messages that appealed to this group. The problem with economic and rational arguments, unless they are crafted really well and consistently repeated, they are more difficult to get into the brains of a wide segment of voters. The pro-Leave group focused on messages that appealed to white working class and rural voters that everyone could understand - halting immigration and preserving traditional British culture. As soon as the votes were counted, many of the dire predictions of the UK leaving the EU already came true, the British pound tumbled 11% as stock markets around the world tanked by the end of the day. In the US, the Dow Jones average fell 3.39%, Nasdaq tumbled 4.12% and the S&P 500 dived 3.59%. DAX fell 6.82%, FTSE 3.15%, HSI 2.92%, and Nikkei 7.92%. George Osborne, Chancellor of the Exchequer (responsible for Britain's money and the economy), estimated that leaving the EU would cost the average household £4,300 a year. Even with data such as this, the Remain group was unable to craft the right messaging to convince the voters that they would be better off remaining in the EU. Nobody knows how many gazillions this failure is going to cost people around this increasingly connected world. Maybe miracles will happen and Brexit will be reversed when a sufficient number of the Leave voters realize what they have done to themselves and the rest of us around the globe. Right now, it looks as if Brexit is synonymous with "Wrecksit" or "Breaksit." Let's hope that whatever poor marketing caused this wreck can be counteracted by effective branding and communications that will compel voters to overturn their decision. If this can happen at all, it will most likely have to wait until a new government is formed since Prime Minister Cameron has resigned. If not, our 401K's and bank accounts may take some time to recover as they did after the Financial Meltdown of 2008.